How Can Yvette Suzanne, A Certified Wellness Coach, help you? Yvette Suzanne M.A. 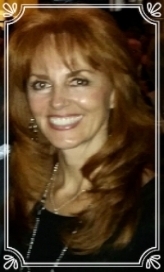 Certified Wellness and Health Coach, joins AgelessFX as YOUR Life coach! "Leading The Way To Total Health Joy Everyday." Starting a new career after age 40? age 50? Yvette Suzanne had a Masters Degree but not a lot of local opportunities for employment. She took her education, her ambition and drive, and forged a career as a Certified Life and Health Coach. She's a guest speaker, a writer, author and a personal consultant. How Can a Certified Life and Health Coach Help YOU? First Yvette is writing interesting and helpful articles here, on AgelessFX. So subscribe to the news-reader and our newsletter so you can take advantage of her advice. Secondly, Yvette is putting others on a path to success by coaching them on a wellness program where you, no matter what age, can earn employment income as well. I work with those people who have stepped in to a thought trap and now have ended up in a thought rut. People who actually know they are destined for better health but are feeling paralyzed. Feeling like, “I have tried it all and I end up back where I am right now.” And they are saying, "That’s Enuf! No more. I want effortless wellness." We can get to wellness via my program I call, THAT’s ENUF. It includes Trust, Habits, Actions, Thoughts, and Sustainability via Effortless New Utilization of Foresight. That’s right, foresight. We all need a plan with an end -- even you and me. With my plan we move in a direction to make it effortless to create sustainability. The more you do it, the easier it gets -- baby steps – new healthier habits. With my, THAT’S ENUF program, wellness becomes WHO you are not something you have to do. Look, I was feeling so tired and awful all the time. Every time I ate, I would fall asleep 15 minutes later. No ne of my clothes fit, and I was so tired of the aching in my joints and muscles. I was especially tired of the pain in the back of my neck at the base of my head. I hit the wall and said, “That’s Enuf!” I was done. I lost 30 lbs in 7 weeks on my program and from there I just keep creating more new habits that create more wellness in my life. People are at their most fulfilled when they are pursuing what matters most to them right now. Reach out to me below with questions.